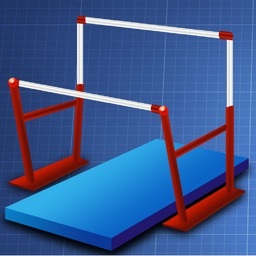 Please note this app is for girl's gymnastics only. 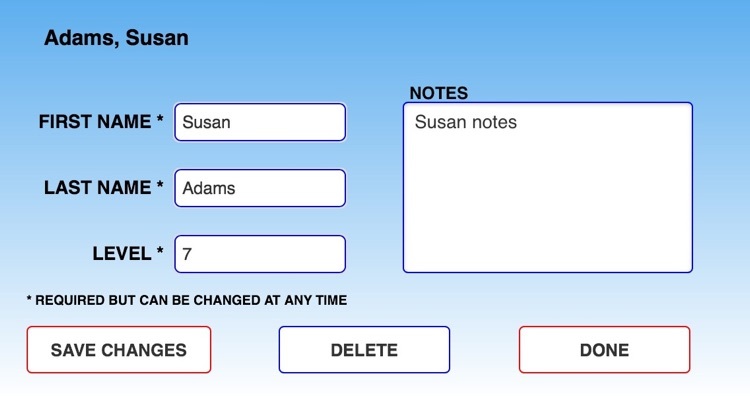 The boy's version will be available soon! 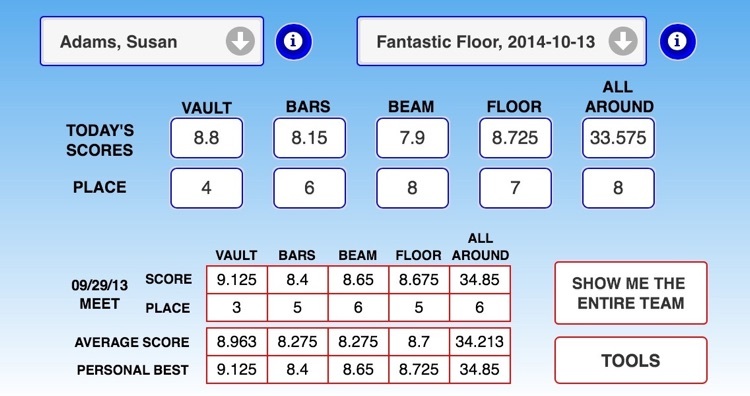 The most versatile, easy to use gymnastics score keeping app available! 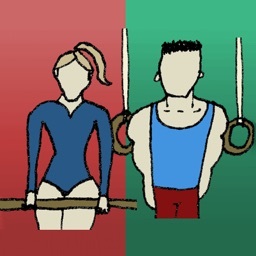 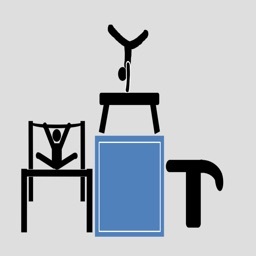 Simple startup wizard guides you through the first entries of gymnasts and meets. 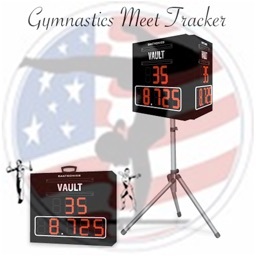 This app gives you the ability to enter previous meet information so you can capture the current season or past seasons right away! 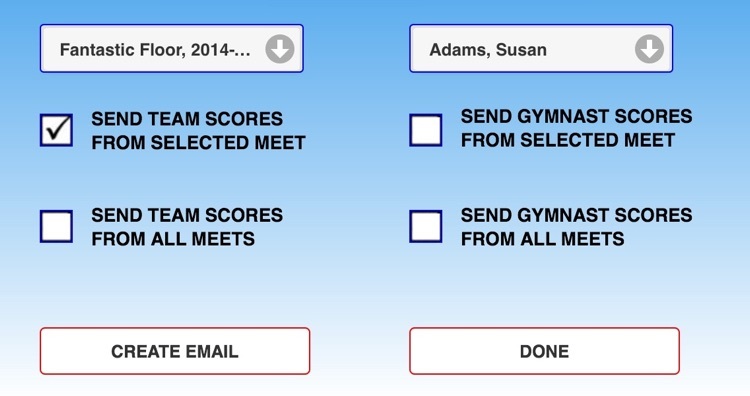 Individual Gymnast Information At A Glance! 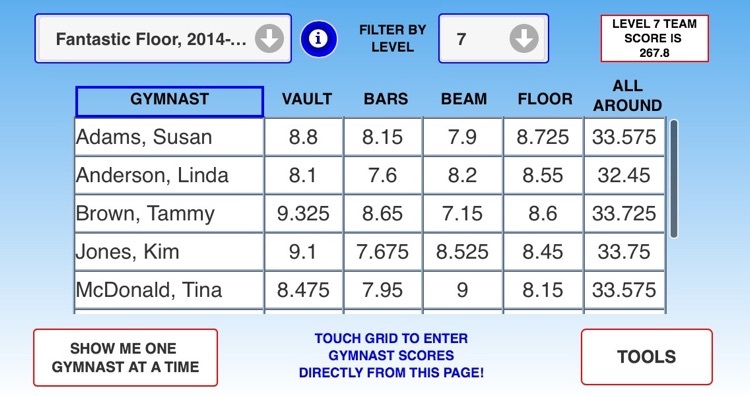 Scores For The Entire Team!